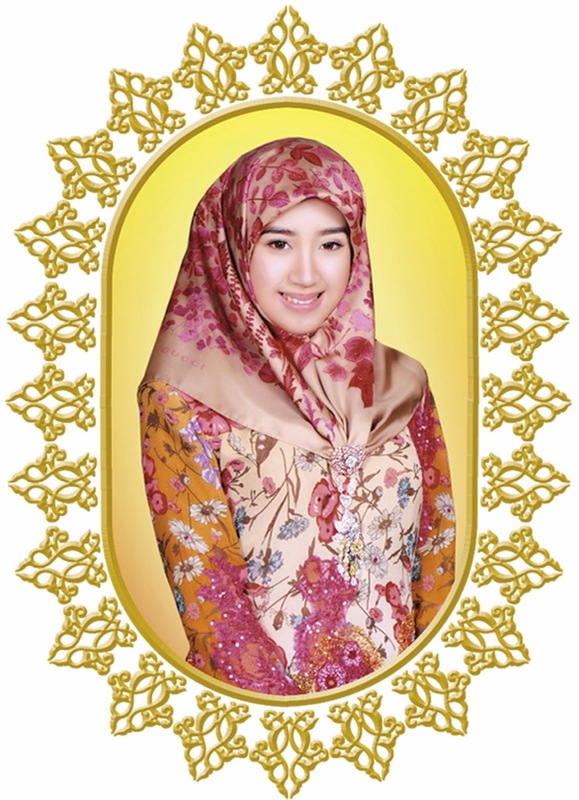 Note: An edited version of the following article was published in The Golden Legacy column in the Brunei national newspaper, The Brunei Times dated 21st April 2007. 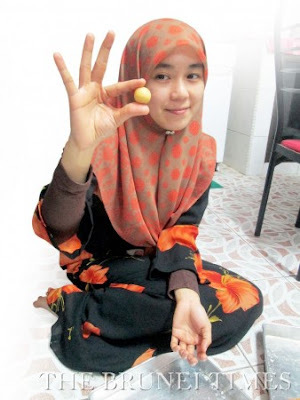 When did Bruneians first fly? According to local civil aviation historians, the first airplane to fly over Brunei was a seaplane spotted over Tutong in 1922. Nobody knew whose plane that was. Despite the current modern international airport in Berakas, not many people knew that sixty years ago, prior to the Second World War, let alone an airport, there was no airfield whatsoever at all in the entire country of Brunei Darussalam. The first runaway was constructed during the Japanese occupation in the Second World War at the current Old Airport Government Buildings Complex. This was then used by the Japanese fighter planes coming to defend their occupied territory. After the end of the war, despite being heavily shelled by the Allied Forces, that runaway was repaired and improved by the same forces and a proper airport was planned and built. 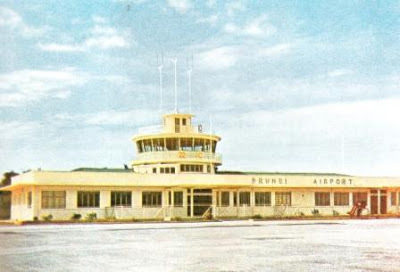 The first commercial air transport in Brunei Darussalam only began in 1953 with the establishment of internal air service links connecting Pekan Brunei (then Brunei Town) with Anduki (near the oil town of Seria) in the Belait District. Getting to Kuala Belait or Seria from Pekan Brunei was very difficult as it was not until the early 1960s that the road connecting the three districts was finally completed. In those days, driving to Kuala Belait from Pekan Brunei was a whole day affair as cars had to travel via the coast and traveling had to take into account the tides and the conditions of the beaches and the waves. The first initial overseas flights were to the Malaysian states of Sarawak and Sabah which was to accommodate travelers from Labuan in Sabah and Lutong in Sarawak. If you were to visit the Brunei Government's Printing Department at the Old Airport Complex (that's why the area is called the Old Airport Complex as the old Brunei Airport was there), that department now occupies what used to the Brunei Airport Terminal Building including the tower. The building the department occupies brings nostalgic memories to many elderly Bruneians. Most Bruneians who had to travel overseas for their studies had to fly via Jesselton (now named Kota Kinabalu) to catch a connecting flight to Singapore. At first it was the Malayan Airways using De Havilland Rapides aircraft that operated flights between Brunei Town, Anduki, Miri and Labuan with over 4,300 passengers using the Brunei Airport in 1955. The Brunei Airport then was only able to serve airplanes like the De Haviland, the small Douglas DC3s and later the Foker Friendships. These planes were all twin-engined turbo props. The Anduki Airport in Seria in the meantime played a very significant role in the aviation history of Brunei. Constructed soon after the end of the Second World War, it served the Shell company operating in Seria. It was completed sometime in 1951 and the first plane to land there was a Vickers Supermarine Type 309 (VR-SOL) or better known as the Sea Otter. The Sea Otter was a versatile airplane, it can land both on the water as well as on dry land. Before Anduki was built, the Sea Otters were flown from Lutong in Miri - from an airport which the Japanese built during the War and landed along the coast somewhere near Seria. One of the interesting experiences for British expatriates coming to work in Shell in Seria was that their first ever air flight tended to be in Brunei. 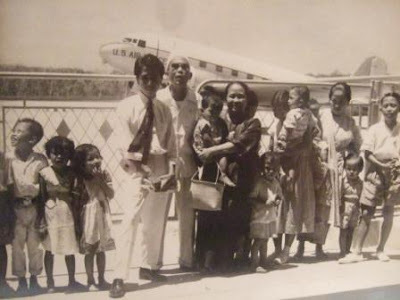 After the World War and the 1950s, the expatriates and their family would arrive by ship and dock in Labuan. Then the Sea Otters would fly them from Labuan to Kuala Belait and for many those Sea Otter flights would be their first ever air flights in their lives. The Sea Otters played a very significant role in Brunei aviation before being replaced by the Percival P.50 Prince. In addition to that was the small Auster J5B Autocar. In the 1970s there was a very significant growth in popularity of air travel. The old Brunei Airport was swamped with activity, operating beyond its capacity. This prompted the authorities to scout for a new site to build a modern airport, in order to cater to the needs of the growing number of users. The new Brunei International Airport which we all use currently in Berakas, began construction in 1970, was completed in 1974. Our own national airline, Royal Brunei Airlines (RBA) was also born in November 1974. After a year of service RBA’s two Boeing 737-200 jets managed to fly 36,000 passengers. Twin turboprops Fokker were also used. Later Boeing 757-200s and the long range wide bodied Boeing 767-300 replaced all the 737-200s. By 2002, Airbus A319 and A320 were added to the fleet to replace the 757s. Seeing the Brunei International Airport nowadays, not many young Bruneians realised that it is still a relatively new airport and that flying too is relatively new in Brunei. Thanks to the early planners in Brunei Darussalam, we are now able to enjoy the fruits of their forward thinking.